Alan Dillon is to put his name up for selection at the Fine Gael convention in the new year. GAA ALL STAR Alan Dillon is to put his name forward to replace former Taoiseach Enda Kenny on the party ticket for the Mayo constituency. The chairman of the Castlebar Fine Gael executive confirmed to The Connaught Telegraph today that Dillon’s name would be going forward at the party’s selection convention in January as a candidate to run in the next general election. John McHugh confirmed to the local paper that he only became aware of the GAA star’s interest last weekend, but said the party had been searching for a suitable candidate in recent months. Dillon told the Mayo News that he has always been interested in getting involved with the party, stating that he comes from a strong Fine Gael family. “It is not for me to decide whether that is in the next general election or not. That is up to the party,” he said. The Mayo football player said it would be a “big opportunity”. A Fine Gael spokesperson confirmed to TheJournal.ie that Dillon has joined the Fine Gael party “and is a welcome addition to the party in Mayo”. “With regards to any candidate selection process, no date has yet been set for the Mayo Selection Convention. It is of course open to any party member to put themselves forward for selection in the usual way,” they added. Since stepping down as Taoiseach, it has been reported that Enda Kenny will not be running in the next general election. There had been some speculation that his daughter Aoibhinn might have been interested in taking his seat, but this now seems unlikely. Minister for Rural and Community Development and Mayo TD Michael Ring told TheJournal.ie this afternoon that he was “delighted” with the news about Dillon. “It is great to see new people join us in Fine Gael,” said Ring, adding that he intends to run for election again. Ultimately, who is selected at the convention is a matter for Fine Gael delegates, he said. The Mayo constituency is a four-seater, with the Fine Gael party running three candidates last time around – Enda Kenny, Michael Ring and Michelle Mulherin. Kenny and Ring were both elected, with Mulherin later becoming a member of Seanad Eireann. It’s understood that Fine Gael will put forward three names from the party in the next general election. Email “Mayo GAA star lined up for general election bid to replace Enda Kenny”. 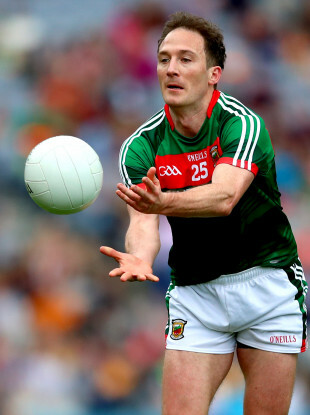 Feedback on “Mayo GAA star lined up for general election bid to replace Enda Kenny”.